Vote forWarrnambool, VICTop Regional Destinations Which are Australia's must-visit destinations? You help us decide. Situated towards the far end of the Great Ocean Road, Warrnambool couples the signature ruggedly beautiful coastlines of the GOR with a mixture of history, verdant farmland and a number of gorgeous beaches - as well as a strong maritime culture from its origins as a whaling community that remains fascinating to this day. Warrnmabool is flanked by beautiful beaches, emits a friendly and laid-back atmosphere and is a popular getaway destination for both Melbourne locals and visitors to the region. This regional area offers visitors the best of both worlds, with beautiful beaches as well as luscious greenery. As you explore the region you'll be able to enjoy views migrating whales (within season) and admire some gorgeous cascading waterfalls. The first and most obvious feature of Warrnambool for first-time visitors will be the coastline, and what a view it is! The Breakwater area features all the typical aspects of the wild and rocky Great Ocean Road scenery, with a wonderful ocean-and-island panorama that sets the scene. Those in pursuit of some quality sand can make their way down to Logan's Beach, this is the town's signature slice of beachfront and for good reason as it's clean, has great views from the viewing platform, and offers the chance to spot whales during migratory season. The whales themselves played a strong role in the town's establishment, and maritime history remains a focus today. This is embodied by the excellent Flagstaff Hill maritime village attraction - a frozen-in-time village containing stores, workshops, tearooms and other 1870's-era appropriate buildings. Strolling along its cobblestone paths, you'll pass the various shops and stores and reach an old port where period-specific vessels both large and small are moored; one of which can be boarded and explored. Families visiting Warrnambool will want to head inwards to Lake Pertobe, a wonderful hub of activity that offers activities such as picnics, boating, a playground and even a maze. Other standout cultural and natural attractions include the Warrnambool Art Gallery, the Warrnambool Botanic Gardens, and the excellent Tower Hill Wildlife Reserve. While some of the attractions require a short drive to access, there's enough here to occupy visitors while providing the ideal excuse to visit more of the nearby highlights on the Great Ocean Road to help fill out any multi-day travel itinerary. Looking to pay a visit to Warrnambool but not sure what to do? Here are some of the most essential experiences. 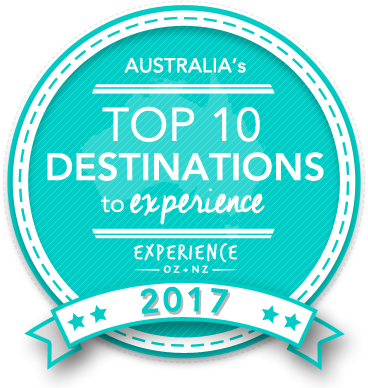 Is Warrnambool Australia's Top Regional Destination to Experience for 2017? Vote now for the chance to WIN an epic trip to one of Australia's top destinations!